Staphylococcus aureus is a Gram-positive bacterium that causes severe illnesses in the human population. 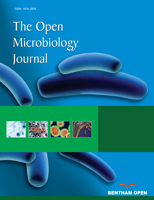 The capacity of S. aureus strains to form biofilms on biotic and abiotic surfaces creates serious problems for treatment of hospital infections and has stimulated efforts to develop new means of specific protection or immunotherapy. We found that rabbit serum raised against crude concentrated S. aureus liquid culture significantly decreased the development of staphylococcal biofilm in vitro. To discover the corresponding staphylococcal antigen, we used mass-spectrometry and molecular cloning and identified three major immunodominant proteins. They included α-haemolysin, serine proteinase SplB and S. aureus surface protein G, known as adhesin SasG. Although according to literature data, all these proteins represent virulence factors of S. aureus and play diverse and important roles in the pathogenesis of staphylococcal diseases, only SasG can be directly implicated into the biofilm formation because of its surface location on a staphylococcal cell. Indeed, rabbit serum directed against purified recombinant SasG, similar to serum against crude staphylococcal liquid culture, prevented the formation of a biofilm. SasG can be considered as a target in an anti-biofilm drug development and a component of the vaccine or immunotherapeutic preparations directed against staphylococcal infections in humans. Keywords: SasG, Biofilm formation, Adhesin, Antibody Production, Pathogenesis, Staphylococcal biofilm. © 2018 Belyi et al.